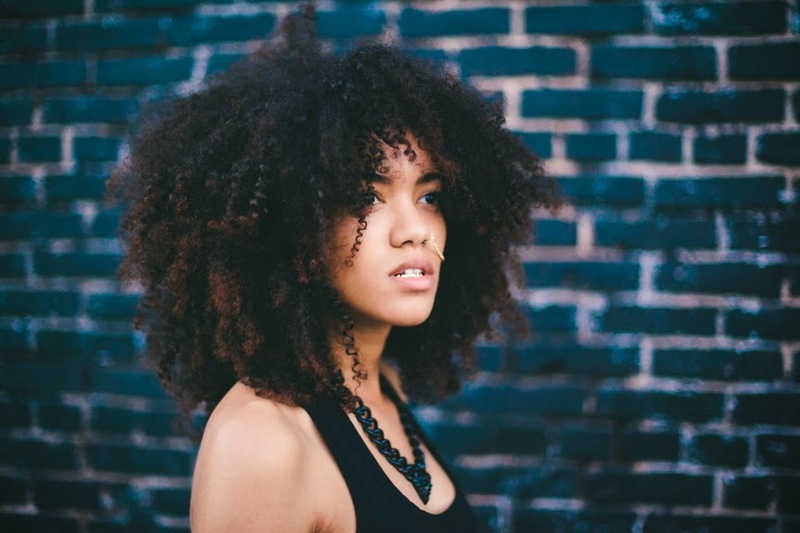 Natural hair comes in every length, curl pattern, and color! It's like magical. I saw this photo on Pinterest and had to post. As much as I love a fro that reaches sky-high, I love long flowing waves. This hair is amazing too! 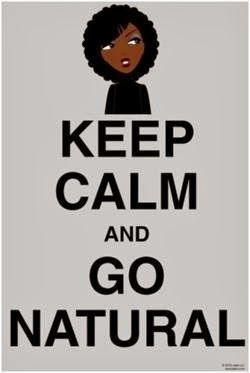 What's your favorite hair style in natural hair? Let us know in the comments section. Welcome back to YouTube Thursday! 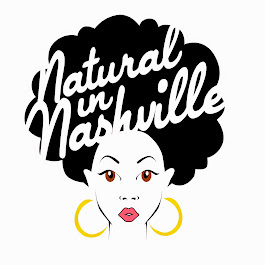 Every Thursday we share a YouTube tutorial to help you along your natural hair journey. 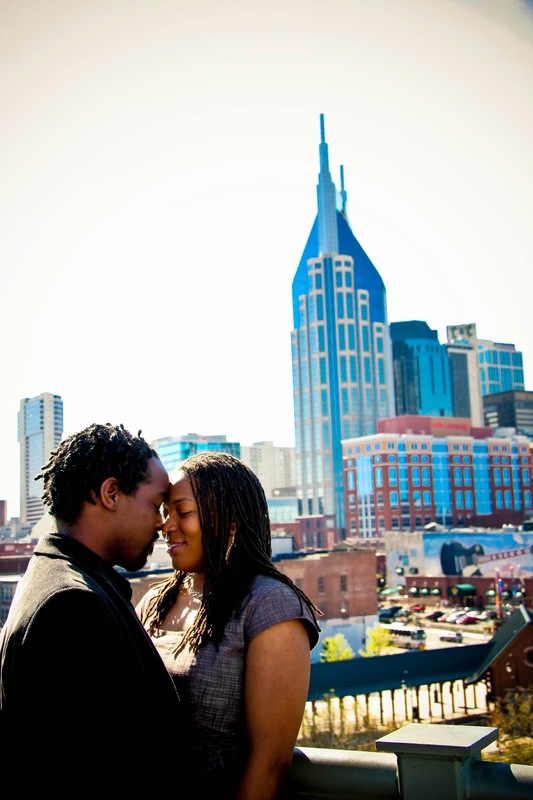 Today I'm sharing a Nashville native, Ashley Michelle aka MochaCurlie 89. She just joined Youtube in early 2015, but she already has some amazing tutorials available for you! 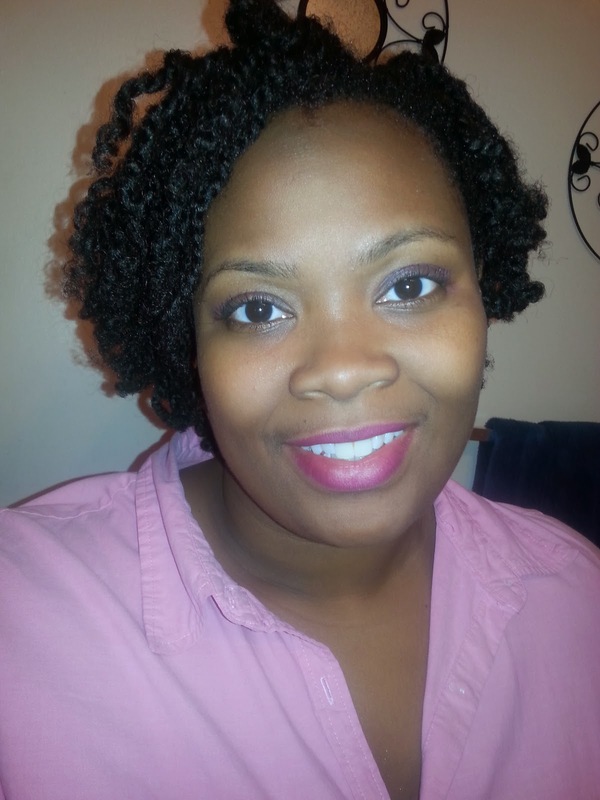 I thought I'd share seven minute video on doing a twistout on blow-dryed hair. 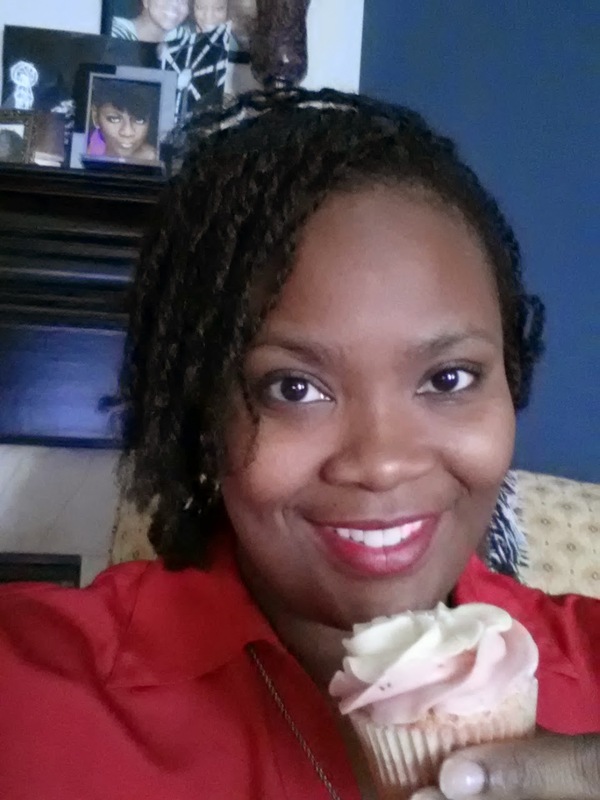 Personally, I love to do my twistouts on blow-dryed hair, it gives me more definition and more fluffy results. In this video, Ashley takes you through the steps of achieving this awesome look. 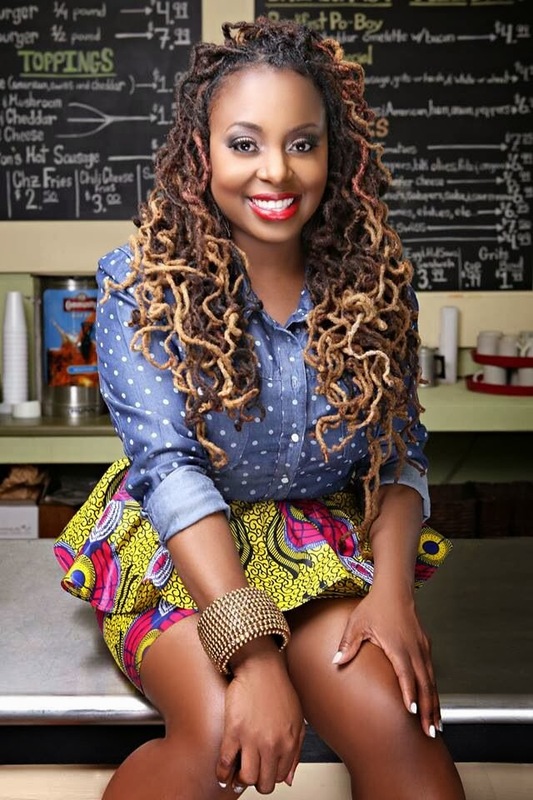 And, she uses some products that I hadn't heard of: Soultanicals Knot Sauce and Knot Butter. 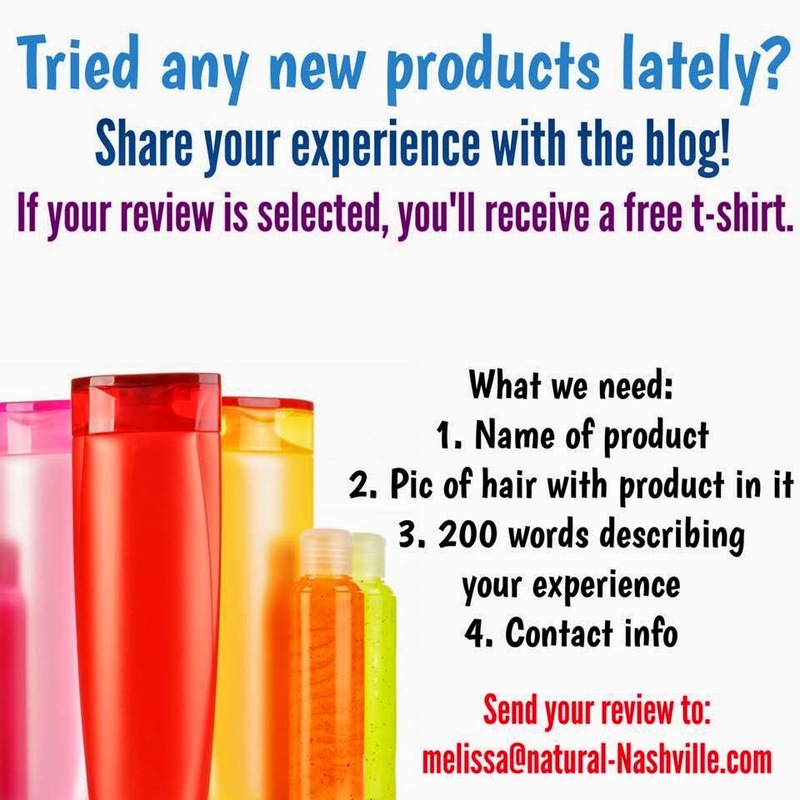 Take a look at Michelle's video below, tell me in the comments if you find something that helps! You know I'm a fan of braid extentions! 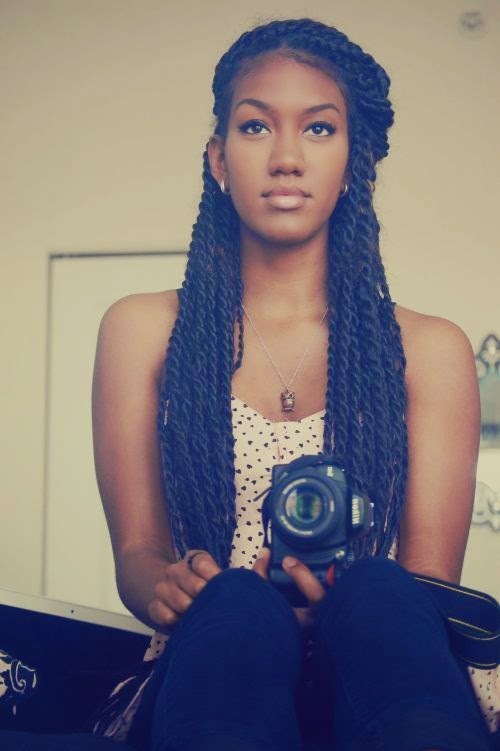 So this lovely model's long twists are just my fancy. And long twists are a great protective style for the summer . . . shoot, for any season. 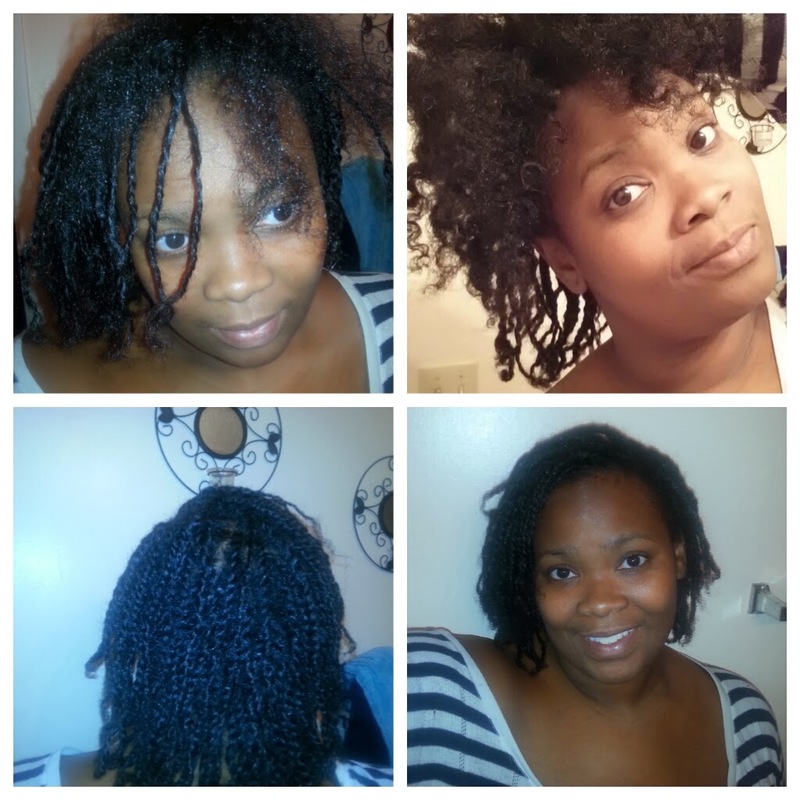 These twists look pretty easy to install too! It's always good to have a nice style to give you a break from your hair. 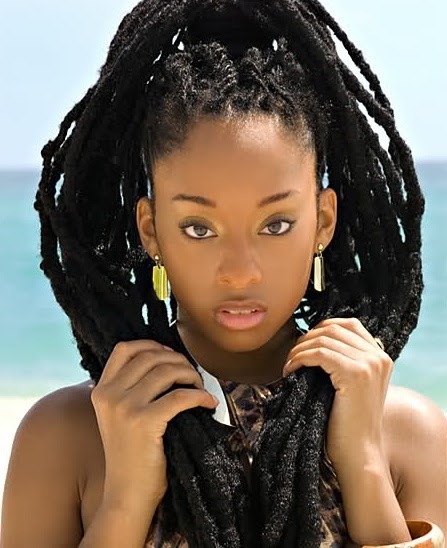 Would you rock these long twists? 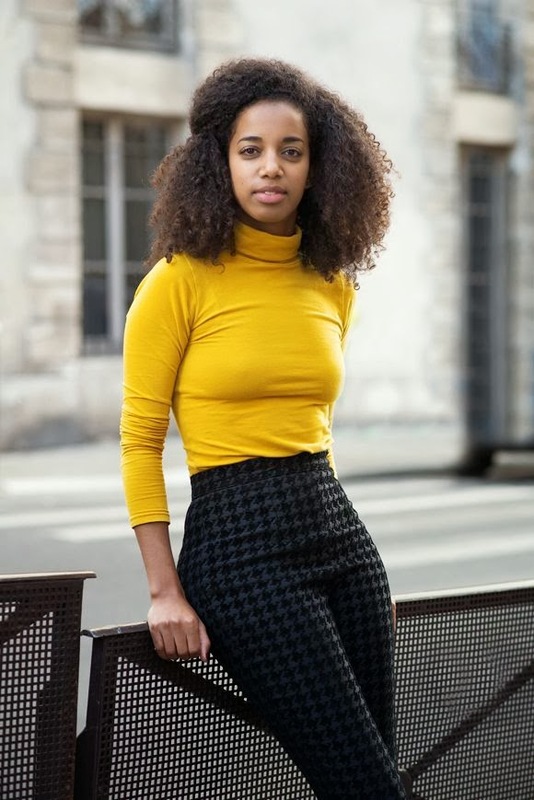 What can be said about this model's hair that can be better than just looking at the photo? Her big bold hair is one to be sought after. 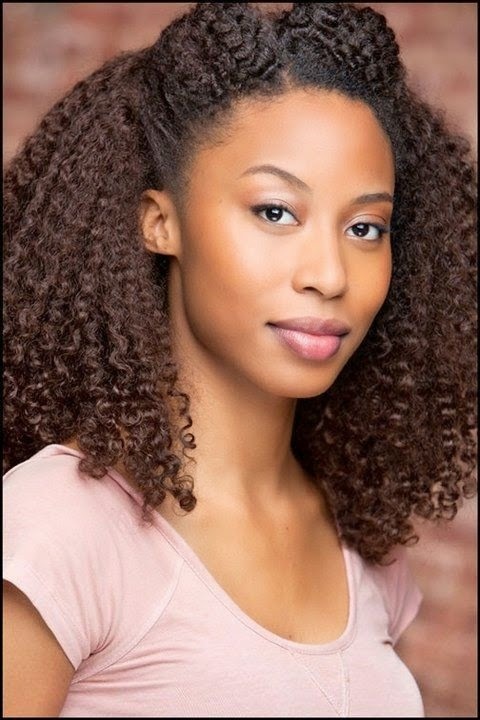 I'm sure she has her hair difficulites, like most of us, but still her hair is just GORGEOUS! I love when kinkier textures can be shown in a longer lengths. Just beautiful! 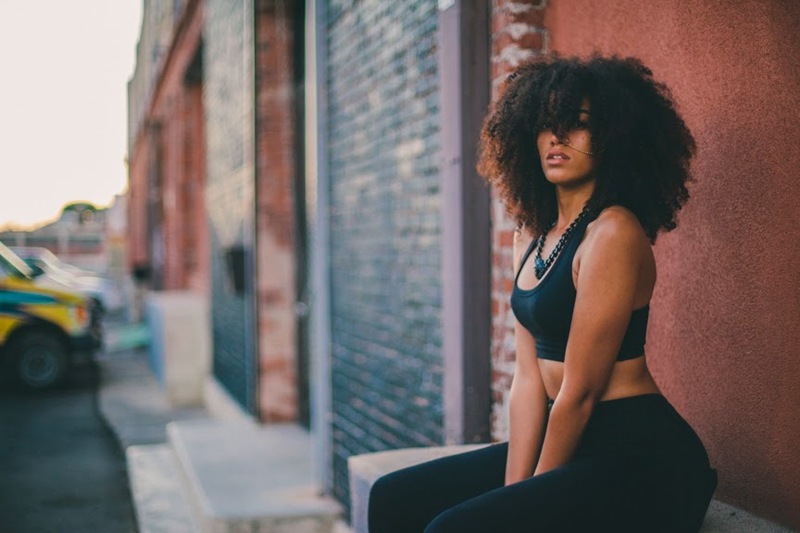 HAIR LUST: A real wild child! There's nothing like seeing a woman with a head full of wild curls! When I was on our Tumblr I saw this gorgeous girl and her gorgeous head of hair and I had to post her photos! 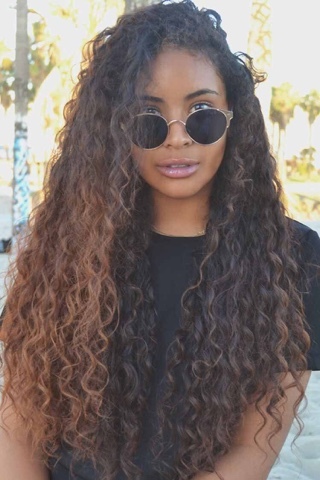 I'm having major hair envy right now! Plus, this photo-shoot is EVERYTHING - check out more photos HERE. For better or worse, I am attached to my locs. 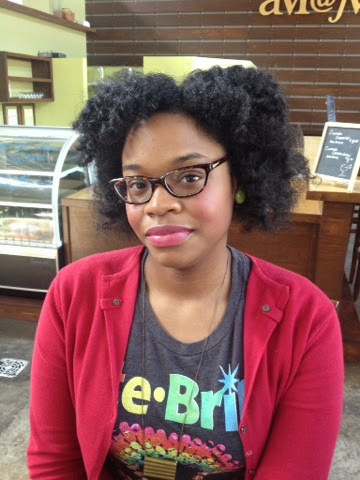 Over the last year, I've gone back and forth about what to do with my hair because I can see some of the issues that longer locs suffer already starting to manifest. 2009. My best loc season. I've looked back at tons of pictures of myself to try and figure out where the change happened and I think I've narrowed it down. 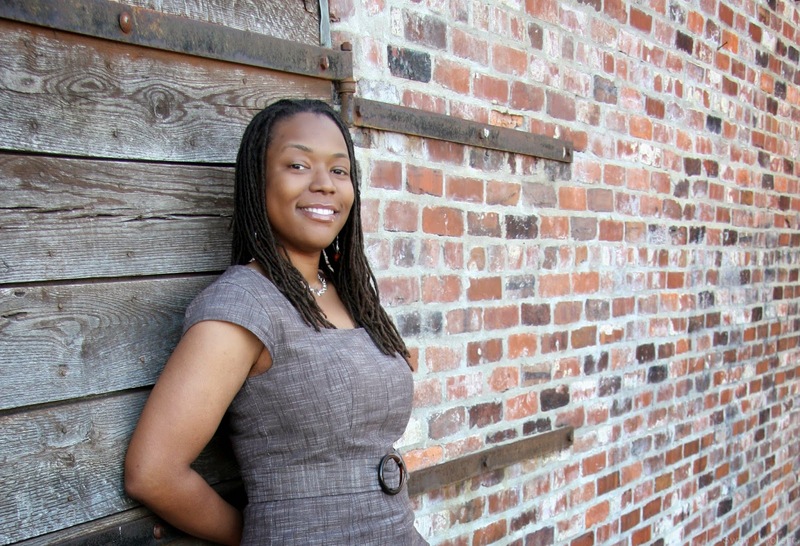 My hair locs really began to change at the end of 2009 for a few different reasons I'm starting to realize. Size and Length Matter. 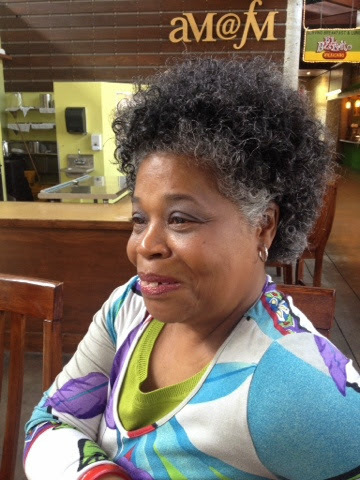 When I started my locs, I wanted them to be manageable and easy to style so I asked for what I thought was a good size. 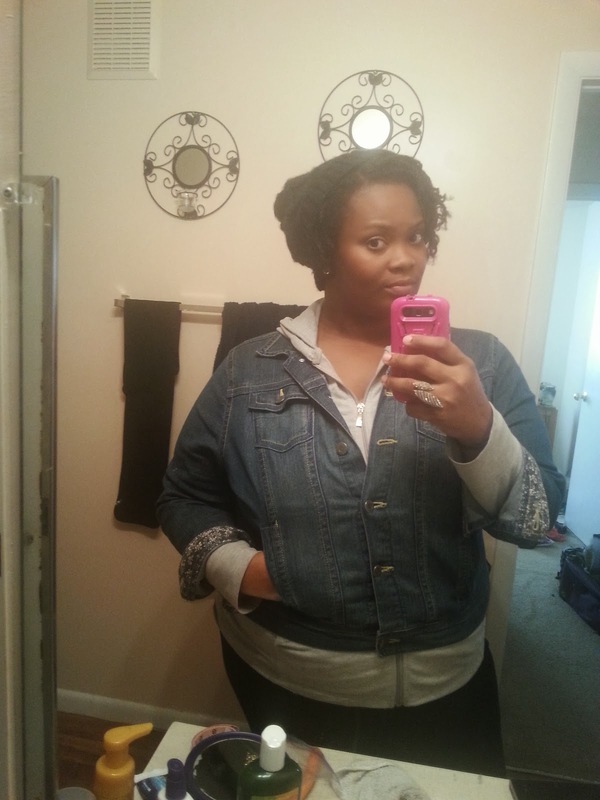 Until my locs were shoulder length, their size didn't seem to be an issue. Not only did the weight of my locs become more of a factor, but the ability to pull them up easily started to work against me. Because of the length, I wore buns and ponytails often. If I had been more conscious, I would have wrapped my locs with a scarf more often than apply the stress of pulling them up or back. Balance Techniques. When I discovered interlocking, I completely abandoned palm rolling. Because my locs were already small and interlocking can be such a harsh process, I should have maintained a better balance between interlocking, palm rolling and free forming. With the right regimen, I'm quite sure I could have given my hair more rest and lessened the effects of the interlocking process. Honor Your Challenge. It seemed so insignificant many nights, but I had a terrible habit of working late and crashing without covering my hair for the night. Allowing that to slip for a consistent time period was really a challenge to my hair. I've since found a simple solution. After my last video conference of the day, I take the time for my hair ritual and wrap it for the evening. That simple shift made a all the difference. 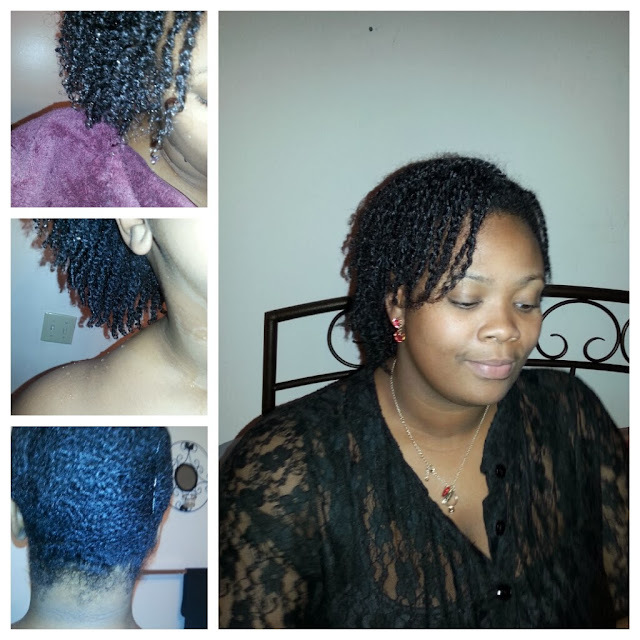 Shoulder length locs on me and he was just getting started. 2009. There are times in life when we wish we could go back and do it all again. Well, I've finally decided that I'm going back and doing my locs all over again. 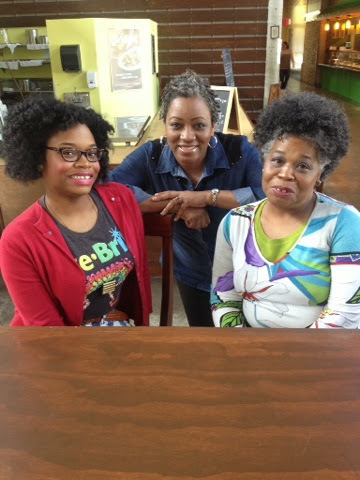 I cried at the thought of cutting my locs, but when you have know fabulous stylists who educate like Amber, you find a way to achieve your goals in a way that is authentic and comfortable for you. I'm happy that I don't have to make any dramatic changes to achieve my goal. Stay tuned to my hair diary as Amber and I revive and regenerate my locs. 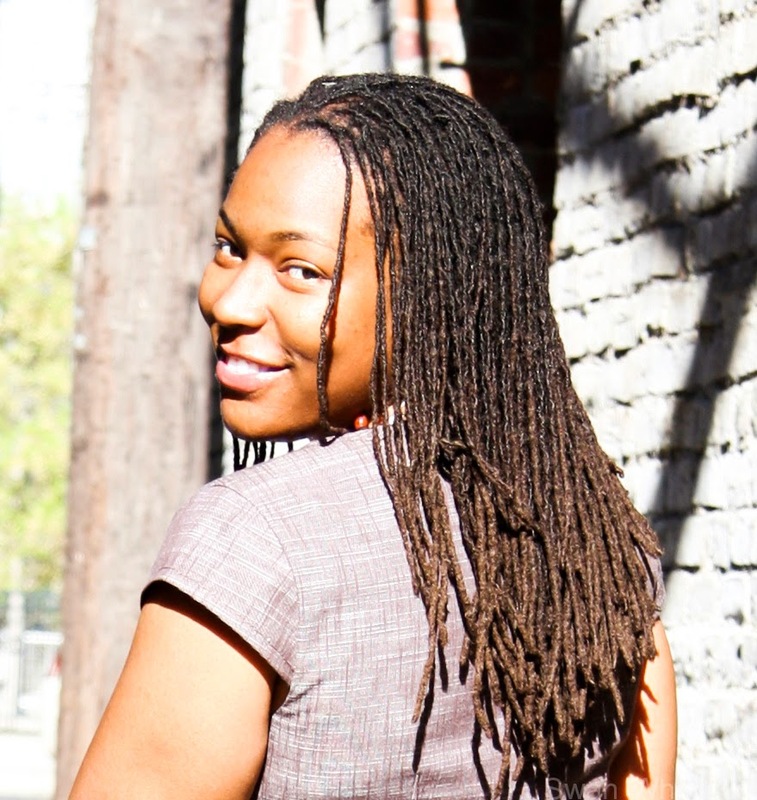 It is going to be a journey, so if you've ever considered starting locs, come along for the ride! 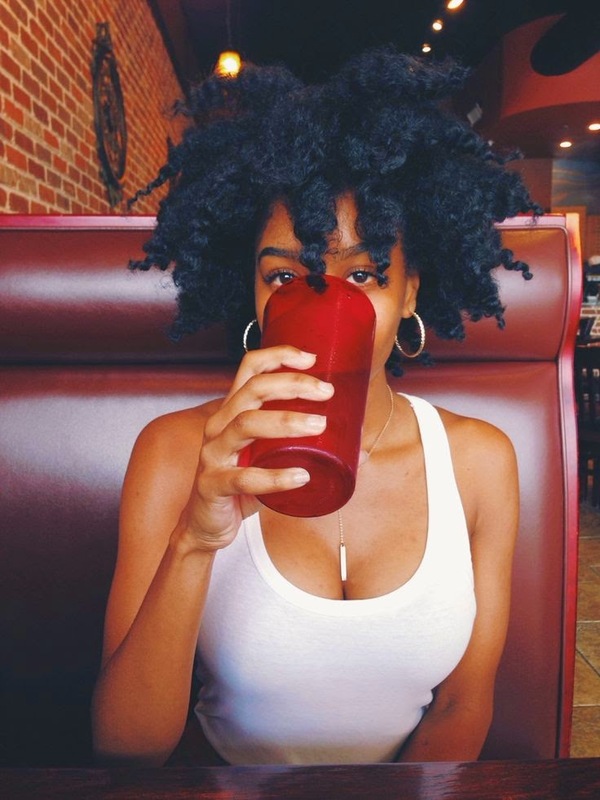 I just love finding photos of natural hair. 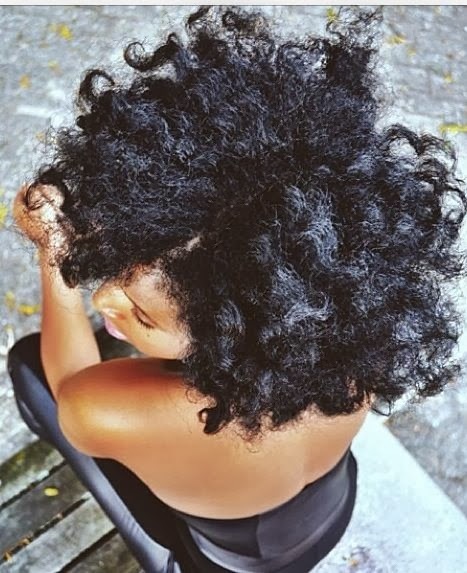 Natural curls, coils, and kinks are just so fabulous - no two heads are alike. I don't know who this lady is, but I this photo shoot is great. So, be inspired! I really love locs. I like free-form locs and I like manicured locs. 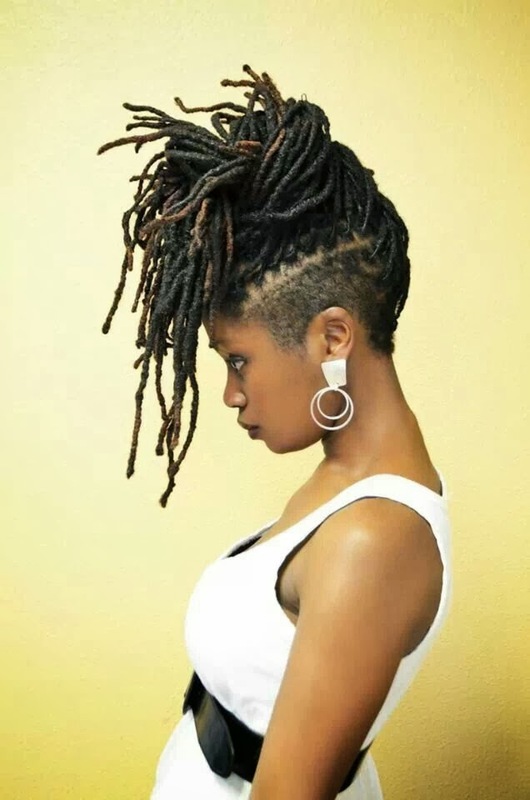 I love locs because no matter the maitenance technique, every head of locs looks different. 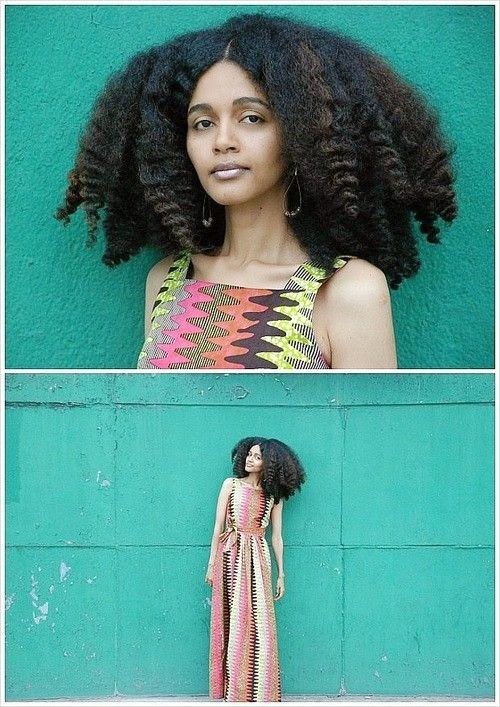 I loved this photo (found on tumblr via @loccrush) and had to post it for this week's Hair Lust post! 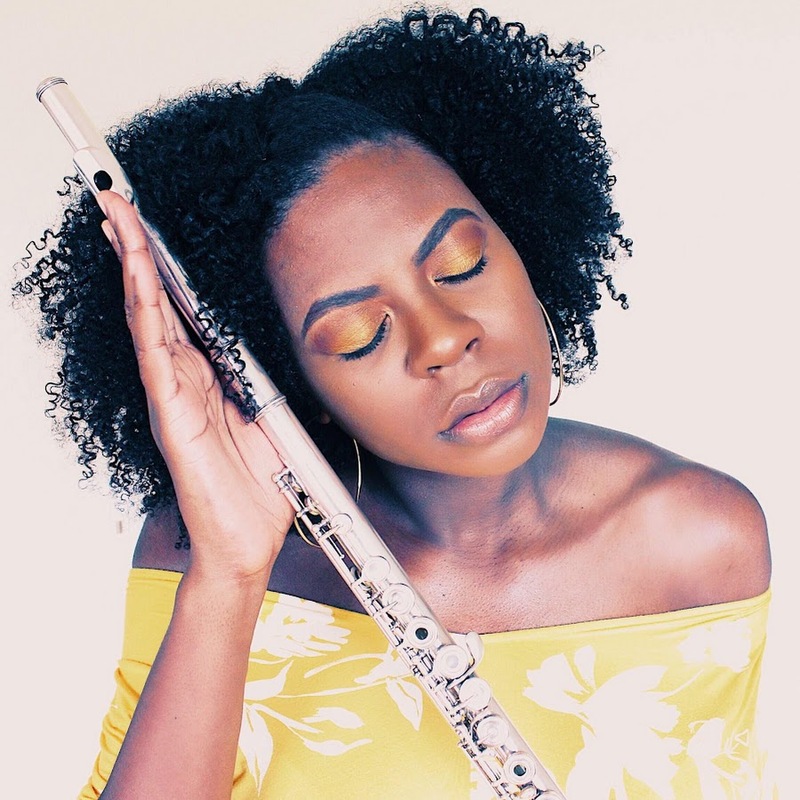 If you've started your loc journey, follow Loccrush, she's surely an inspiration. 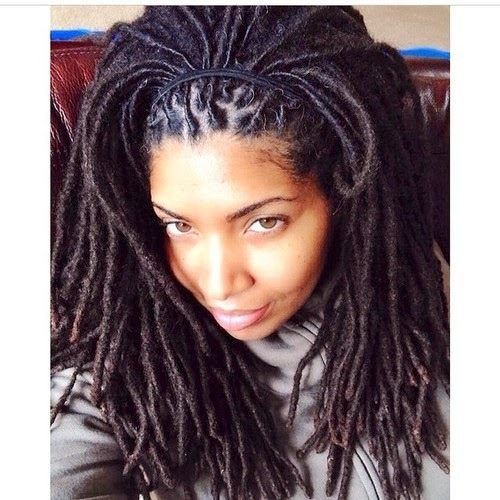 Her locs are gorgeous! Loc AND location lust! Take me there! Happy Valentine's week! I saw this this cute photo on Pintrest and thought it'd be the perfect way to capture the essence of Valentine's Day. Be carefree, un-bothered, and happy no matter if you single or attached. Ok, but how much do we love her big hair!?? 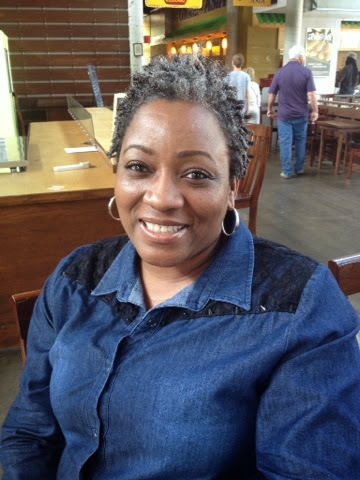 Here's what I would imagine my locs would look like if I had Melissa's courage. 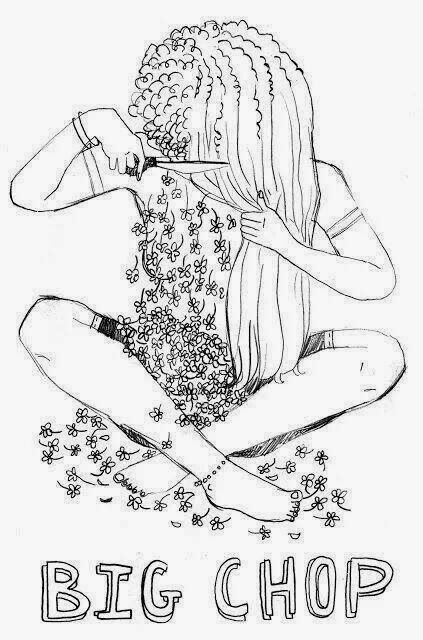 I just can't let go of 11 years of growth! I don't know if these two are friends or lovers but I do know that they are super cool and ultra fly! Nothing like having friends whom you can share your awesome style sensibilities. Loves it! 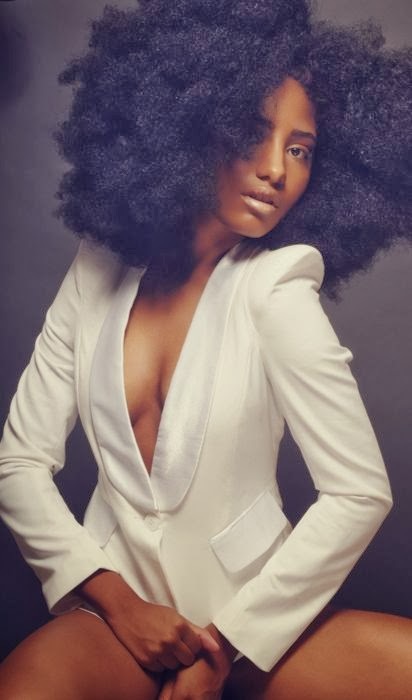 With the holiday season upon us, some newly natural haired ladies may feel limited in their flair for dressing up during the holiday season. Girl, BOO! Don't let fear stop you from being FIERCE during this party season. 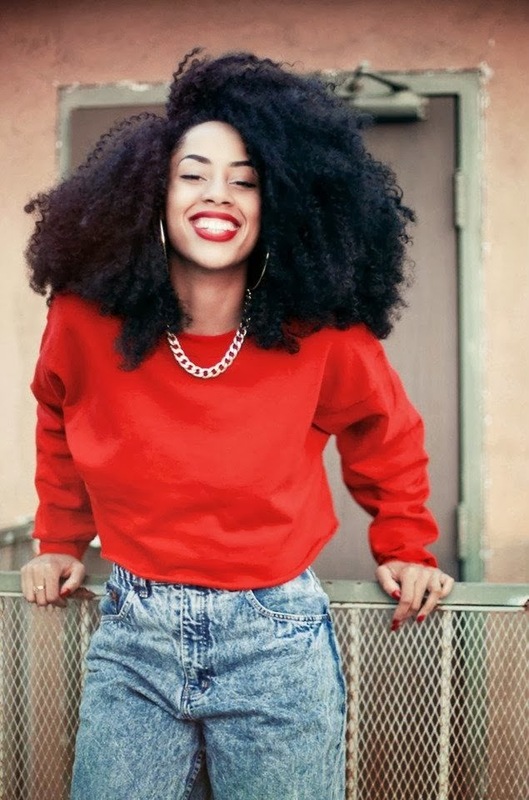 Rock your fro (or a fro'd out wig) to that office party. You'll be the talk of the town and you'll feel fantastic! Let this photo inspire you! YES HUNNY!!! This stretched and curled blow-out is giving me all the LIFE! Life abundantly. Just in time for Tennessee State University homecoming, make sure to take a look at our Hair Lust category for some style inspiration. This one will surely be a knock out!